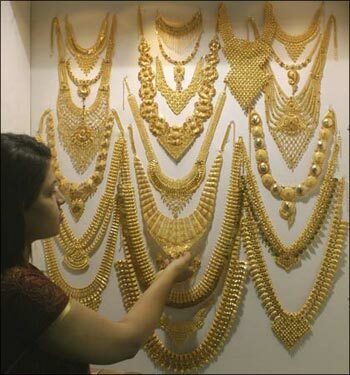 Rediff.com » Business » Is this the right time to buy gold? Is this the right time to buy gold? With gold and silver touching new highs every second day, Ranchi resident Anup Vohra wants to include these in his portfolio. The 35-year old feels silver will rally further for some more time. But industry experts beg to differ. "There are many reasons behind the gold rally. However, there is no apparent reason for rise in silver," says Kishore Narne, head-commodities research, Anand Rathi Financial Services. Traditionally, silver apes gold prices. However, since the beginning of this year, silver has given 58 per cent returns against gold's seven per cent. In the last one year, silver has returned 130 per cent and gold almost 30 per cent. Image: Traditionally, silver follows gold prices. Since silver is an industrial metal, it is supposed to follow copper prices. But the last one year saw copper give 23 per cent and nickel a negative six per cent. "We can't say silver prices have peaked, but we expect a 25-30 per cent correction any time now," adds Narne. Gold may also correct 10-15 per cent once the geo-political crisis in West Asia ends and the dollar strengthens, among other factors. Therefore, new investors such as Vohra are suggested to stay away from these metals at current levels. Corrections could make for good buying opportunity. Image: Gold is expected to correct 10-15 per cent. "On the back of Akshay Tritiya, I advise buying gold over silver. Gold is a hedge and is less volatile compared to silver," says Amar Singh, head-business development and research (commodities & currencies), Aditya Birla Money. Financial planners also share this sentiment. "Investors can buy gold in small tranches. There are limited options for investing in silver," says Jayant Pai, vice-president, Parag Parikh Financial Services. He suggests you could use 25 per cent of the amount you have set aside for investing in precious metals and buy in a staggered manner. Pai suggests restricting precious metals to five per cent of your portfolio for now. 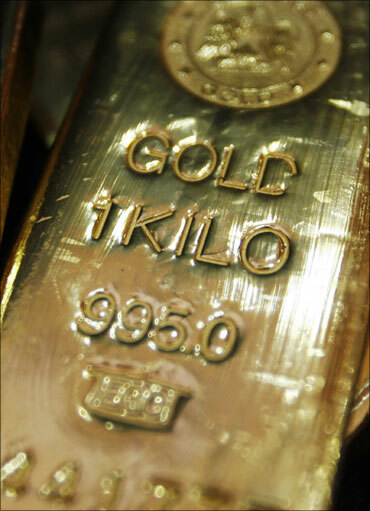 Typically, gold should form 10 per cent of your portfolio. Image: Gold should form 10 per cent of portfolio. 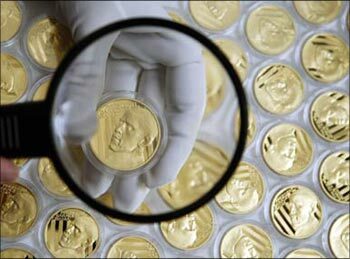 Of the various forms to hold precious metals, experts suggest gold feeder funds and the National Spot Exchange's e-series. These are cost-effective and allow investment through the systematic investment plan route. The only problem is that you need a separate demat account (not the one for equity) for e-series. Gold feeder funds don't require the demat account. If you do not have a demat account, gold feeder funds are a good option, as it doesn't make sense to open a demat account for buying gold only. The sole cost is the expense ratio of 1.5 per cent. It is higher than gold exchange-traded funds, but with the demat maintenance cost, ETFs become more expensive. 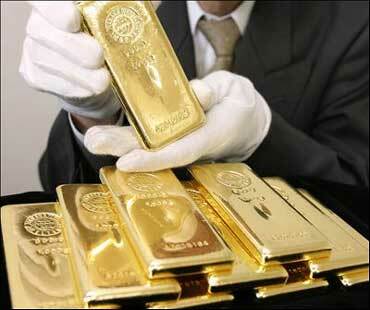 Image: Gold feeder funds are a good option, say experts. Investment through e-series has similar costs, but only in the first month. The costs reduce from the second month and only brokerage costs are levied. It is an expensive option only if you opt for physical delivery. You are levied with a delivery fee of Rs. 200 and Rs. 50 for every such request by the depository. 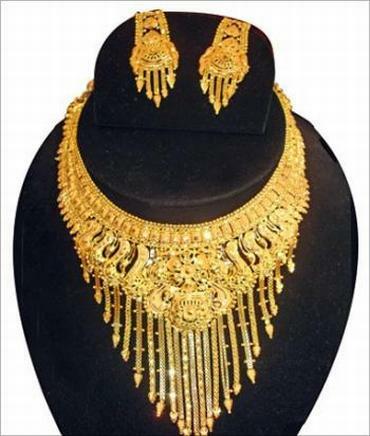 Given the current prices, if not for immediate consumption, you may not want to buy jewellery. Instead, invest that money. With Akshay Tritiya round the corner, jewellers are allowing pre-booking jewellery, bars and coins (at today's rate) to beat high prices, as gold is inching up and will mostly spike on the auspicious day. You can book the jewellery today for complete or partial payment and take delivery on Akshay Tritiya. Image: Jewellers are allowing pre-booking jewellery. In case you are holding gold, you can stay invested for some more time. Once the geo-political situations in West Asia stabilise, gold prices will correct. Also, the US monetary policy tightening could see a reversal in gold for a year or so. And, you could book profits on related news. 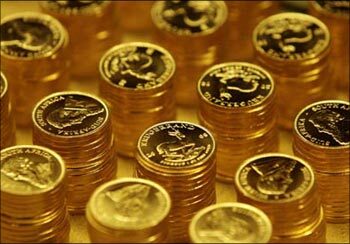 If the crisis continues, gold prices can move up further. In case you need the money, you could exit in tranches of five to 10 per cent over a period. Book profits if you are holding silver, as the correction here will be stronger than in gold. Image: If West Asia crisis continues, prices can move up. FAQ: What are Swiss bank accounts?